MANHATTAN, Kan., April 30 (AScribe Newswire) — In 1918 a human influenza virus known as the Spanish flu spread through the central United States while a swine respiratory disease occurred concurrently. A Kansas State University researcher has found that the virus causing the pandemic was able to infect and replicate in pigs, but did not kill them, unlike in other mammalian hosts like monkeys, mice and ferrets where the infection has been lethal. Juergen A. Richt, Regents Distinguished Professor of Diagnostic Medicine and Pathobiology at K-State’s College of Veterinary Medicine, studied the 1918 Spanish flu pandemic with colleagues from the Canadian Food Inspection Agency, U.S. Department of Agriculture and Mount Sinai School of Medicine. Their research supports the hypothesis that the 1918 pandemic influenza virus and the virus causing the swine flu were the same. Richt said the virus was able to infect and replicate in swine and cause mild respiratory disease. The 1918 virus spread through the pig population, adapted to the swine and resulted in the current lineage of the H1N1 swine influenza viruses. The researchers’ study is published in the May 2009 Journal of Virology. WASHINGTON (CNN) — Vice President Joe Biden said Thursday morning he has advised his family to avoid “confined places” such as aircraft, subways and classrooms because of the swine flu risk. Biden made the remarks on NBC’s “Today Show,” after he was asked what he would tell a family member about traveling to Mexico, where the first cases of the virus — technically known as 2009 H1N1 — were detected. “The CDC is concerned that continued travel by U.S. travelers to Mexico presents a serious risk for further outbreaks of swine flu in the United States,” the agency says on its Web site. 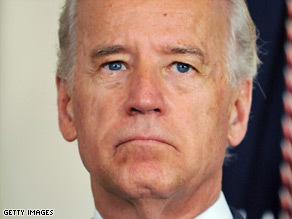 Roger Dow, president and CEO of the U.S. Travel Association, responded to Biden’s comments by saying, “Americans should heed the advice of medical experts when determining how best to manage health concerns during the ongoing swine flu outbreak. WASHINGTON (AP) — A member of the U.S. delegation that helped prepare Energy Secretary Steven Chu’s trip to Mexico City has demonstrated flu-like symptoms and his family members have tested probable for swine flu.